The mission of the Practice Placement Office is to assist students, graduates/alumni and dental professionals with their career search and be a service to dental practices and communities seeking a dentist. We serve as a catalyst to connect dental practice opportunities with dental professionals seeking opportunities with a focus on retaining graduates and dentists in Wisconsin, specifically in rural and underserved communities and populations. The Practice Placement Office was established through a grant from Delta Dental of Wisconsin. 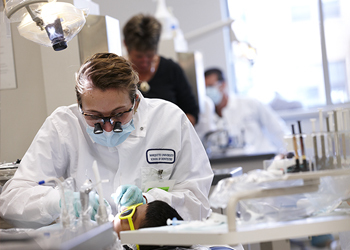 The Marquette University School of Dentistry Practice Placement Office serves as a resource to dental practices and communities with dental professionals through an online listing of opportunities. Opportunities can be listed online or by contacting the Practice Placement Office directly. The opportunity will be listed on the Marquette University School of Dentistry Practice Placement website, as well as in the Marquette University School of Dentistry.